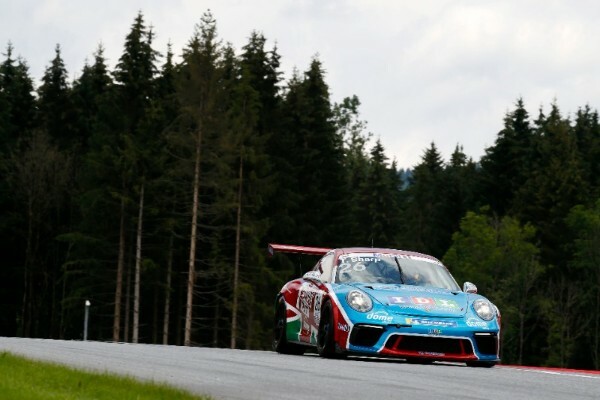 Porsche Mobil 1 Supercup racer Tom Sharp is determined to be back battling for the top ten on home tarmac at Silverstone this weekend after enduring a difficult visit to the Red Bull Ring in Austria (30 June/1 July). The weekend’s racing in Spielberg kicked off a pair of back-to-back race weekends for Sharp and his family IDL Racing team, as the Supercup returned to action following a five week break since they raced around the streets of Monaco. Although Austria the scene of his best result of 2017, when he produced a stunning drive from 23rd to thirteenth, Sharp headed into this meeting knowing it would be an uphill struggle under the backdrop of the Styrian mountains. While a number of his rivals had built their track knowledge with tests at the circuit and by competing in the Porsche Carrera Cup Deutschland there last month, the Surrey racer would have to tackle the meeting with only last year’s running under his belt. A sole 45 minute free practice session on Friday would not allow much time for familiarisation, with the circuit’s unique blend of undulations and camber changes making finding the perfect set-up tricky for his 485hp Porsche 911 GT3 Cup car. Unfortunately their efforts would be nullified by an engine issue that left Sharp running 6km/h slower down the straight than his competition, which meant it was a case of damage limitation in qualifying as he posted the twentieth fastest time. With the engine problem unable to be resolved prior to the race, Sharp was powerless to prevent himself slipping down to 24th place in the first half of the race, however a strong drive from there would ensure he maintained that position until the chequered flag. Tom Sharp: “With a number of the front-runners having raced at the circuit three weeks ago, we headed to Austria knowing the competition was going to be tougher than ever, and that’s certainly how it proved to be. “While it’s only a short circuit, it has lots packed in to a single lap so it’s very tricky to master with limited practice time. Unfortunately we’re using a loaned engine in the car after ours was damaged at Monaco and it quickly became apparent that we were down on power. Sharp and the IDL Racing team’s attentions have now turned to preparing for the biggest event of their season, racing in support of the 2018 Formula 1 Rolex British Grand Prix at the ‘Home of British Motor Racing’ Silverstone. Competing on the British GP weekend for a fourth consecutive season, the Dome Group, Anord Mardix, Lloret, GBE Services and Aapex Wealth Management supported driver will race in front of a huge, passionate home crowd of over 100,000 fans. Tom Sharp: “You always want to impress in your home event and I’ve been blessed to have had some great results at Silverstone, having qualified in the top ten on my Supercup debut in 2015 and then taking my best finish in the series so far of seventh a year later.